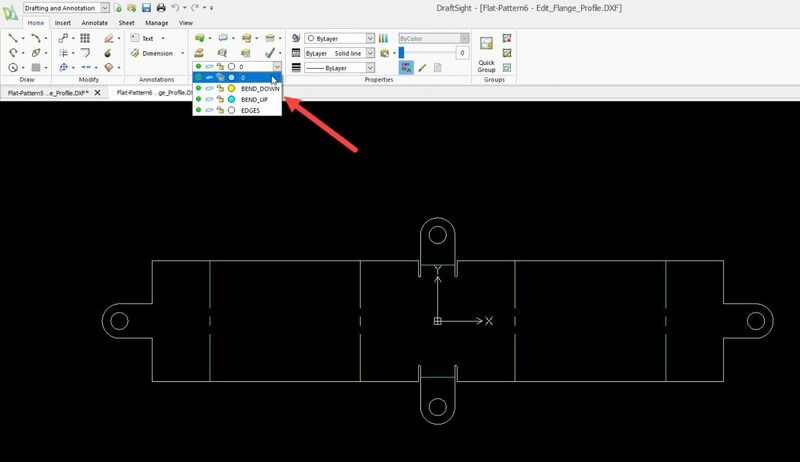 When exporting a SOLIDWORKS sheet metal part to DXF/DWG, you have the option to save different entities to separate layers. The layers can also be set to different colours and linetypes. This is accomplished with a Mapping file setup in the Export options. 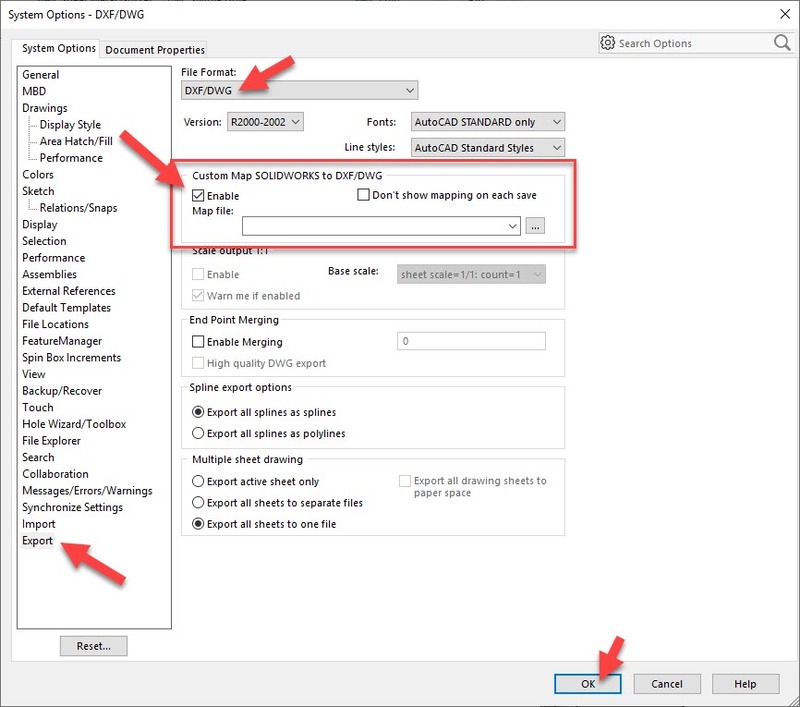 The first thing to do is enable mapping under Tools > Options > Default Options tab > Export. 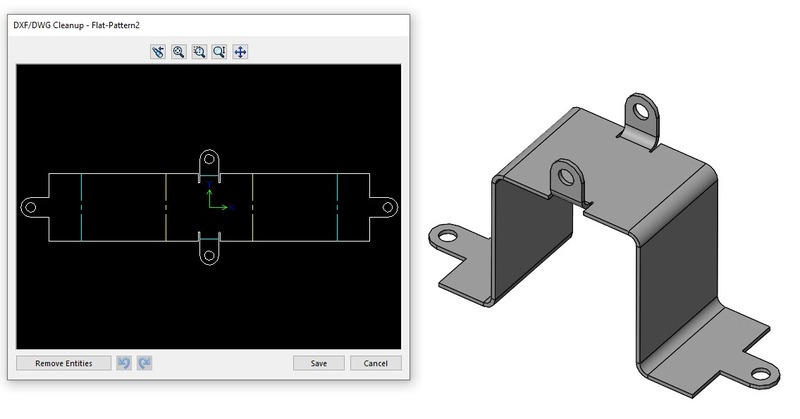 Choose DXF/DWG as the file format. Check the box beside ‘Enable’. You won’t be able to select a mapping file as this will be saved out later. Click OK. 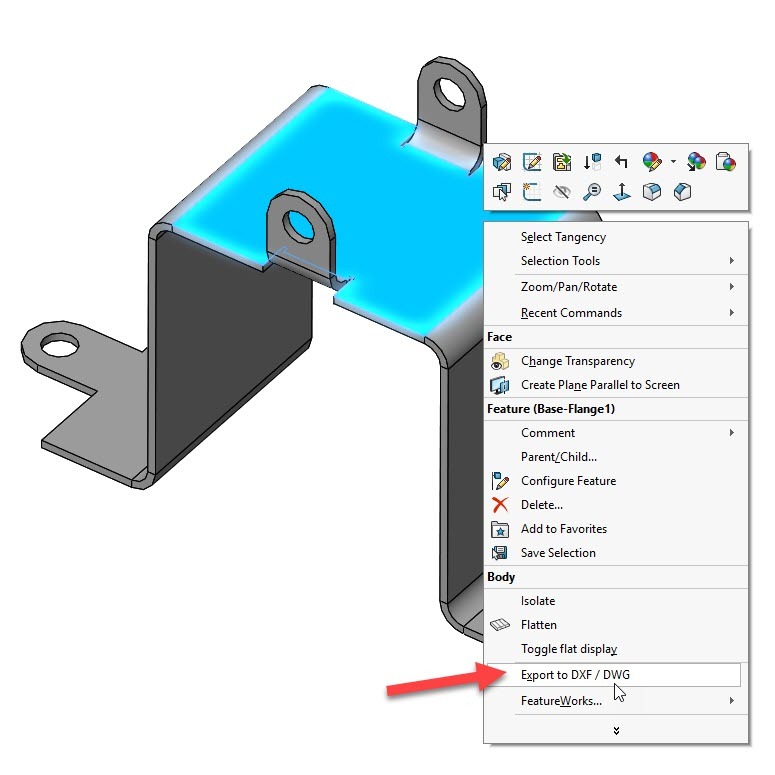 Easiest way to export the Sheet Metal geometry to DXF/DWG is to right-click on the body in the graphics window and choose ‘Export to DXF/DWG’. Then choose to save out the Sheet Metal information. Choose what entities to output. Once you click OK, now is when the Mapping dialog comes up. You can define your layers on the left panel with colours and line styles. Then in the Map Entities panel, use the dropdown under the Layer column to define the layer. Both the colour and line style will default to BYLAYER (BL) but can be overridden. The Entity column has a dropdown to select different entities, depending on which ones you chose to export. In this case we can define layers for Bend Lines Up and Bend Lines Down. You could define both Bend Lines to the same layer. 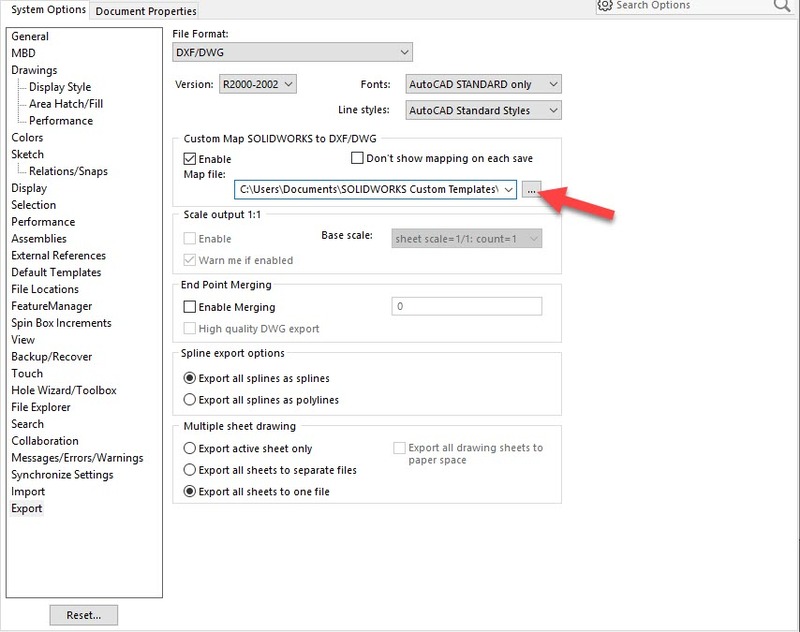 When you click ‘Save Map File’ it will keep all the settings in a file saved and set the export options to continue using this map file. On export you will receive a preview where you can manually remove extra entities if needed. Now the DXF/DWG will include the extra layers with the entities on each.